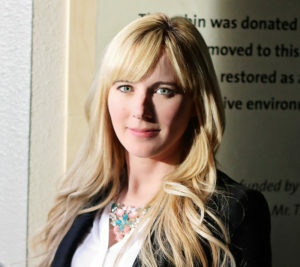 January 17, 2017, LAS VEGAS, Nev. – The Professional Outdoor Media Association (POMA) and the National Shooting Sports Foundation(NSSF) presented firearms expert, historian and journalist Ashley Hlebinsky with the Grits Gresham Shooting Sports Communicator Award today during the 2017 Shooting, Hunting and Outdoor Trade (SHOT) Show. Hlebinsky is the Robert W. Woodruff Cody Firearms Museum curator at the Buffalo Bill Center of the West in Cody, Wyoming. The prestigious POMA/NSSF Grits Gresham Shooting Sports Communicator Award recognizes extraordinary achievements in communications in the areas of responsible firearms use, the shooting sports, and hunting. Hlebinsky is entering her sixth year with the Cody Firearms Museum and assumed the Robert W. Woodruff Curator position in January 2015. To further disseminate firearms history to a broad audience, she is a museum consultant, freelance writer for academic and popular publications, certified firearms instructor, and on-camera historian for networks such as National Geographic, Travel and the Outdoor Channels. For several years, she was a researcher and fellow at the Smithsonian Institution’s National Firearms Collection. “Ashley personifies today’s generation of young and engaged gun owners. I know that Grits would appreciate her skills at bringing the history and culture of firearms in America to a wide audience.” Tom Gresham of Gun Talk Media. In addition to her duties as curator, Hlebinsky is the project director of a full scale renovation of the Cody Firearms Museum, whose collection exceeds 7,000 firearms, many of them rare examples of the gunsmithing craft. She lectures around the country to public audiences, the firearms industry and academic institutions, including the Art Institute of Chicago and the Aspen Institute, addressing the stigmatization of firearms in culture. POMA and the NSSF developed the Grits Gresham Shooting Sports Communicator Award in 2005, when NSSF honored Grits Gresham with a lifetime achievement award. 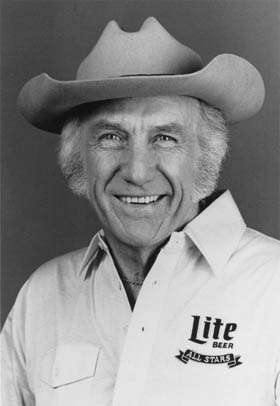 Gresham was an internationally known sportsman, TV personality, author and host of the long-running The American Sportsman series on ABC television. The award recognizes communicators within the firearms, shooting sports and Second Amendment arena who grasp the ideals, foster the commitment and display the talent Grits Gresham showed during his storied career.Nominations for the Grits Gresham Shooting Sports Communicator Award come from all corners of the shooting sports industry. Affiliation with a communications or industry organization is not required. Shooting sports industry professionals are encouraged to make nominations through the POMA website: www.professionaloutdoormedia.org.  POMA is the premier communications and industry professional’s organization, and the only media association wholly focused on the traditional outdoor sports of hunting, shooting, fishing and trapping. POMA is also the only media group to support the industry through membership in the most important trade organizations including the NSSF. POMA Mission: To foster excellence in communications at all levels, help members build their businesses, connect media and industry, promote fair and honest communication of the traditional outdoor sports and conservation stories, and mentor the next generation of traditional outdoor sports communicators.